Since going Primal last summer, my vegan buddy and I have some very explicit differences of opinion. I’m sure you can guess where they come up. Where we agree though is on the subject of sugar, especially refined sugar (syrups, honey, HFCS, table sugar, etc). Neither of us eat the stuff as a rule, but we have different reasons for avoiding it. I give the standard list and his main contention is that sugar compromises the immune system. Is this true? Does eating sugar actually suppress the immune system? I’ve heard this before, but have yet to see hard proof. Thanks. Thanks for the question. We already know sugar should be limited in the human diet. Most people can agree with that. Here are but a few of its effects on our physiologies. Fun stuff! It leads to insulin resistance. It promotes inflammation in the body. It can lead to weight gain when ingested. It appears to act like fertilizer for cancer cells. High fructose diets decrease HDL levels, while reducing the diameter and increasing the density of LDL particles. Glucose and especially fructose can bond to – glycate – proteins and lipids without proper enzymatic control. 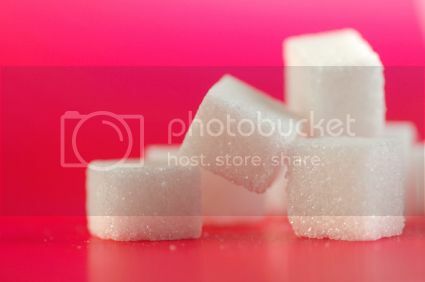 All that would be plenty justification for anyone to cut sugar from their diet, wouldn’t you agree? I mean, who wants glycated lipids wedging themselves between endothelial walls, or a cascade of inflammatory responses leading to weight gain and insulin resistance, or a bed of happy, hungry cancer cells enjoying a steady supply of food? Not me. But you were wondering whether sugar really suppresses the immune system. It’s a charge often levied against the humble ivory granules, and, perhaps owing to their despicable record, it’s stuck. Sugar is an easy target to pick on, and it’s a sticky substance (at least when wet), so things stick. As to whether sugar directly impacts the immune response, there is evidence that it does play a role: the often-cited 1973 neutrophilic phagocytosis study out of Loma Linda University. Neutrophils are small white blood cells, about 9 or 10 µm in diameter. They’re also the most abundant white blood cell, or leukocyte, in the body. Good thing, too, because they play a crucial role in the defense of the multicellular organism (that’s us). Neutrophilic phagocytosis is the process by which offensive microbes are dispatched by neutrophils. The Loma Linda study observed the effect of sugar ingestion upon neutrophilic activity. After an overnight fast, subjects were administered oral 100 gram portions of either glucose, fructose, sucrose, honey, or orange juice. Blood was drawn before and after administration of the sugar, then mixed with a shot of staphylococcus epidermidis (a fairly common bacterial strain that can be virulent in compromised immune systems) to determine the neutrophilic phagocytosis response. After ingestion of sugar (but not starch), the phagocytic index (a rough measurement of the neutrophilic response) was significantly decreased, while fasting significantly increased the response. Sugar eating didn’t decrease the number of neutrophils; it simply decreased their responsiveness. It isn’t exactly clear that sugar and sugar alone exerts a neutrophilic-dampening effect on our immune system. I’m inclined to think that the neutrophils aren’t lying dormant, befuddled and entranced by the fructose. Instead, I’m thinking they’re occupied by the rapid influx of twenty teaspoons of sugar into the body. Let me rephrase that: they’re occupied by the effects of the rapid influx of sugar. To understand what I mean, look at the start of this post. Check out all those negative, inflammatory effects sugar has on our body, and think about how twenty teaspoons of sudden sugar might necessitate an inflammatory response to deal with them all. Who’s well-represented among the first wave of the inflammatory response, you might ask? Neutrophils. They are often the first responders to migrate toward the site of inflammation. Now, if a rapid influx of sugar can provoke an inflammatory response, and if that inflammatory response consists of neutrophils springing into action, it might explain the results of the Loma Linda study. Perhaps the neutrophils were dealing with the sugar rush. Maybe their cytoplasmic storage granules, which usually contain antimicrobial weaponry, were depleted after handling the fallout from all that fructose. In any case, though the Loma Linda study is suggestive, more research needs to be done on sugar and its possible immune suppressing effects. What we do know is that it’s impossible (and shortsighted) to hone in on just a single factor. It isn’t just sugar that suppresses the immune system. It’s also stress. It’s too little exercise, or too much. It’s lack of sleep. It’s the SAD. Whatever contributes toward chronic inflammation, weight gain, excessive cortisol, and the metabolic syndrome is most likely also contributing to the compromised immune system. Sugar plays a role, maybe even a big one, but it’s not the only player. We also know that people following the Primal Blueprint appear to be healthier. They’re the ones who survive flu season with nary a scratch, while their office mates take sick days and the trash bins overflow with used tissues. When they do fall ill, the turnover is quick and painless. These may just be anecdotal accounts, but they’re extremely powerful. Is it because of sugar avoidance? Seems likely. Whatever it is, though, it’s working. So, sorry, Poppins. Keep your spoonful of sugar. It may very well help your spoiled wards choke down their medicine, but it could also make the problem – a weak immune system – even worse. What are your thoughts? Have you noticed fewer colds and flus since ditching sugar and going Primal? Share your stories in the comment board! How timely! A couple weeks ago, I splurged and made some delicious chocolate chip cookies from Elana’s Pantry which called for Agave Nectar (instead of sugar). At the time I was thinking that agave nectar must be better than sugar, right?! Well, I ended up with a nasty cold. I haven’t had a cold in a very long time and I have to imagine that eating those cookies right before I got sick had something to do with it. Sigh! They were really good cookies, though! It’s a common misconception that “natural sugars” are better for you. Agave nectar has as much or more fructose (the harmful part of sugar) than high fructose corn syrup. Same for honey. Now, those sugars might have other things in them that are good for you (raw honey is anti-microbial for example) but the sugar is still bad. Good for you for becoming more aware. The last time I got sick a few years ago with a bad acid reflux and elevated temperatures, the ‘expert’ at my local urgent care recommended 7UP, toast and a proton pump inhibitor for my acid reflux. I thanked the doc, promptly threw away the prescription and went home. I took a solution of squeezed ginger, lemon and rock salt throughout the day. Ate some eggs and a tablespoon of cocnut oil with each meal. I was fine in 2 days. Mark, something just occurred to me (and i feel “slow” for it taking so long) — we know what sugar and alcohol do to the liver, but what about sugar-alcohols? are they double-trouble? agave nectar… see “Smoking Candy Cigarettes” on Dr. Kurt Harris’s PaNu blog. Sugar is too easy to pick on. We’ll probably be finding new reasons to avoid it for a long time. So just avoid it and stop picking on it. There are plenty of reasons already, why do we need more. That’s the problem I see with a lot of the scientific studies going on out there, they are “finding” things that have already been “found”. Yeah, I know that experiments need to be done over and over to make sure that the result is really true, but I’m just so tired of seeing results of things I already know. On the other hand, maybe people just need to be bombarded over and over with correct information before they’ll start following it. That’s academia for you… but there are benefits to over-studying the heck out of things. After all, CW is founded on lots and lots of scientific study, but obviously the conclusions have not been for the betterment of health and nutrition. I see research on sugar in the same way I see research on smoking. We already know it’s bad, but HOW bad can make a difference to some. For instance, I know some smokers have quit when they learned that smoking can lead to and/or exacerbate erectile dysfunction! your brain needs sugar to stay alive. proven fact. John Smith – Your brain needs glucose or ketones – but that doesn’t mean that you have to ingest same – you will make what you need from the rest of your low-carb diet (fats and proteins). Mcallit – SAD = Seasonal Affective Disorder. What happens to some of us far northern folks in the dead of the dark, dark winter, when the sun barely rises, if at all. A depression treated by a 2-week trip to Hawaii in January. If you did not want to eliminate sugar completely from your diet, do you have any recommendations? I’ve been experimenting with coconut sugar which does not seem to give me the rush as white sugar does. Well, I realize I am replying after 5 years :). Try raw honey – rich in live enzymes. Cocunut sugar is fine but be aware that it’s primarily fructose and not glucose (so perhaps not very high GI but high G load). You can also try xylitol. Try Stevia. Not the “Truvia” stuff, but plain, liquid stevia. Truthfully, you’re better off biting the bullit and no doing sugar at all. You’ll be glad you did. I have recently noticed a correlation with sugar intake and my allergies acting up. I am allergic to dust mites, and my allergies tend to act up about a day or two before I come down with a cold. I too believe that sugar does appear to act like an immune suppressant, allowing my allergies to act up where they normally would be under control. Technically, an allergy is an immune response, so by definition *some* part of your immune system is not being suppressed, but rather is being overactive. But there are several components to the human immune system. Could be that the part suppressed (or distracted?) by sugar intake is not the same part that goes crazy when you come into contact with dust mites. I wouldn’t know either way, but maybe your allergy doc would. I learned that decades ago. I was a Claritin junkie every spring. I thought it was the lilac bushes in bloom. I had to smear cortizone all over my eyes, in addition to taking Claritin in larger than recommended doses. Then I tried going sugar free and carb free except carb veggies like cauliflower. This amounts to no gluten as well. Result is, I have not bought Claritin in 10 years. Gads, it sure saves me a lot of money! And I can stand myself now. Side effect – no flu either, and don’t take flu shot. So if I get strict for the season, starting in October or when the chill hits, and I can expect to be flu-free for the winter. Incidently, if this helps anyone, being allergic to cows milk, I started using goat milk products, and noticed my nose and eyes were dripping all the time. No sneezing, no coughing, just dripping. When I cut out the g. milk, the dripping stopped, so apparently that can be a connection – I tried this several times over. Switched to coconut milk products as substitutes. The only place I really get sugar from is fruits. Obviously I don’t want to cut out fruits. Is this type of sugar “different”? I am sure it is, but just looking for the “actual” reason. Thanks! @David: If you do a bit of a search both here and on Dr Kurt Harris’ blog (www.paleonu.com) for posts about fructose (the primary sugar in fruit) you’ll find a fair bit of information to answer your question more thoroughly. In short, as with most things, it comes down to being moderate with your fruit intake, and trying to avoid the _really_ sugary stuff like grapes, watermelon and mangoes. Fructose is still a sugar and, in concentrated forms like High Fructose Corn Syrup, is particularly problematic (look up YouTube for the Lustig video about Fructose for more). There’s definitely fructose in sugar, but even in the modern hybrids bred for greater sweetness, the fructose amount is only a fraction of that present in the Standard American Diet. The Eades talk about that in their latest book–even if you eat fruit every day you are never going to come anywhere near the amount you’d get from, say, a soda-a-day habit. I’d say based on reading and personal experience that you should just pay attention to your body. All fruits have fructose in them, although it’s a tiny amount, but fruits also have a glycemic index which does sometimes mess with the bodies of people who are already metabolically damaged. It’s the reason Atkins followers stick with tomatoes, olives, and avocados in the first several weeks of the diet and re-introduce berries first when they start in on the sweet fruits again. Melons are also low-glycemic. And give fruit juice a very wide berth unless you start making kombucha or water kefir, which will eat up the sugar in the juice. I didn’t have one bad cold/flu/sore throat, etc. this winter after having at least one or two bad ones each year during college. The worst I contracted was a slight sinus problem which didn’t last long and was no doubt brought on by having a bit too much to drink (20%). The most sugar I enjoy these days is in the form of an apple… which basically tastes like a candy bar, post-Primal! I lived on sugar for a long time as child, and I was often sick with something (usually strep, which may or may not have any relation to sugar intake, but I had it every year of my life for the first 14 years!). A ginger and honey mixture in some hot water takes care of cold problems (at least for me). For a cough, buy some horseradish and take a teaspoon of that! You won’t cough the rest of the day! I haven’t searched, but Mark should make a list of “possible” food remedies for potential illnesses (it’s hard to avoid everything forever, and even Mark points out that PBers still manage to catch something once in a while). On a side note, what does SAD stand for? Standard American Diet (i.e., loaded with crappy carbs and frankenfat). I was thinking Seasonal Affective Disorder??? My spouse is having a hard time eliminating suger in her coffee. She is now trying evaporated Palm Sugar which she likes over Stevia. I know sugar is bad for you, but does anyone know if this evaporated Palm Sugar is good substitute or not? I’ve been trying to limit fruit even more lately. I talked to another primal friend and he described a week without any glucose as being his best week yet! I would agree that it’s not the sugar itself that directly correlates to a suppressed immune system but rather the effects of sugar on the body (namely inflammation which Mark mentions). Think of it as a chain reaction. I study and research this stuff for a living like Mark does but my first hand experience seems to confirm this as well. I cut most all processed and refined sugars from my diet and haven’t had a cold in years. And a flu shot is a joke to me (recommened though for the young, old and those with suppressed immune systems). Is there a coincidence that I’ve not been sick? You decide. I want SO bad to get off of sugar but I’m convinced I’m addicted. And you’ll stay addicted, whilever you stay convinced 🙁 In all my experiences of changing my diet and fasting, I’ve found that once the mind is made up, the battle is already 90% won. You can let this work against you (by believing you can’t do something that you’d really like to be able to), or put it to work for you (by believing you can and will do something)…Choice is yours. I haven’t once been sick since quitting sugar (3 and half years ago), and I’m not Paleo. I like to take advantage of Paleo recipes, but still have grains here and there. I also credit my excellent health with daily green smoothies and “oil-pulling” every morning, but I feel the quitting sugar has had the most influence. YEA!!! GREEN SMOOTHIES! BEST FOOD ON THE PLANET!!! EVERY MORNING, EVERY AFTERNOON. TAKE A BOTTLE WITH YOU FOR A SNACK!! GOD’S FOOD FOR MAN!!! It’s hard to say EXACTLY why we have fewer illnesses when we are living a Primal lifestyle. There are so many reasons why it could be, I highly doubt that avoiding sugar is solely the reason but rather a collection of not eating highly processed, chemical laden foods, and being active that is responsible. I haven’t had a cold since I kicked sugar more than a year ago. My one vice is raw cane sugar (I know this doesn’t mean much to most, it’s all sugar) and a small amount of organic heavy whipping cream in my coffee in the mornings. I’m actually sick of hearing or reading people saying to try Stevia; I’ve tried it many times and still continue to try it, thinking that perhaps “it will be better this time,” and it still and has always plain out sucked. I’ll do coffee black every now and then just to get through an intermittent fast but I hate my coffee just black. And yes, I’ve tried that multiple times as well, with different brands, brews, makers, etc. Now, I have severly reduced my sugar intake to approximately 2 teaspoons of sugar in each of my two cups of coffee (4 teaspoons total) in the morning. Other than that, I’m almost 100% primal, both in diet and exercise and really have a hard time believing that this little bit of sugar and cream in my morning brew has that much of an effect on me. I’m also not a caffeine addict, I just simply love the way MY coffee tastes. I too, have not suffered any colds, flus, etc and my allergies have completely dissappeared since being primal. I also don’t ever get sunburned (I attribute this to eating primally), and do bounce back so much easier and faster from a rare night of “not-so-good” eating and/or drinking. So, I guess my question is in regards to this small amount of sugar in coffee. Does this fall under the 80/20 rule if I do it almost everyday except for my intermittent fast days? If I truly enjoy this one thing, does it have to be given up. Where do we draw the line? I feel that I am optimally healthy. Some people (co-workers and family members) think that I’m stupidly, obsessively healthy yet when I read or hear of people (like myself) who have a vice that appears so small and is something that they truly enjoy I wonder and question how healthy I need to be. Am I not healthy enough to the primal mind? I wonder. I do know that I don’t want to be on my death bed at 90-something after having given up something I loved at the age of 30 (my current age) only to find out, ” Ya know Steven, turns out that coffee, cream and sugar was actually the perfect combination for optimal health and elite wellbeing.” Damnit! @Steven: At the risk of sounding like one of your workmates, you’re possibly being a little obsessive 😉 Seriously, if you LOVE your sugary sweet coffee then maybe you shouldn’t sweat it so much. Or, you could give up coffee altogether for a month or so, as well as anything else that you like that’s sweet-ish, and then come back to it (the coffee I mean) and see if you really still need the sugar to enjoy it. I found that once you get away from the need for something to taste sweet to be OK – and I’m betting it won’t be just coffee – your sense of ‘sweet’ dramatically changes. I went from two-sugars per coffee to one sugar and then eventually to zero. It took a little bit of time, but now I can’t stand the taste of sugary coffee (I’m 40 by the way – I think your tastes also change a bit as you get older too, sweet stuff doesn’t seem to hold so much power). If you really get stuck on this “should I / shouldn’t I” question, shift the parameters of your dilemma a bit – imagine something that someone else loves, that they KNOW is bad for them, but they “just can’t” give it up and see what advice you’d have for them. Hey Ben, thanks for the reply! Yeah, I know it’s not too big a deal. As I said in my post, I’ve decreased my sugar intake by a lot. I swear I used to put the equivalent of 10 or 12 tsp. in my coffee so… You are right though, as I’ve gotten older I’ve found that my sweet tooth has dropped off a bit. I will continue to decrease the amount of sugar I put in coffee and see if one day I can it take it to none. We’ll see! The Weston Price folks say that if you’re going to consume sugar, have it be something like evaporated cane juice (sometimes called Rapadura), honey, or maple syrup because at least then you are getting enzymes and minerals along with the sweetness. It’s my understanding that processing sugar in the body uses up mineral and B-vitamin stores, but leaning more toward whole-food sweeteners might blunt some of that effect. This is another one of those areas in which I wish they would do more research, though. Neutrophils are part of your innate immune system and protect against bacteria etc, not against viruses like the flu. It is the adaptive immune system that protects against the flu. The purpose of vaccines is to give the adaptive immune system the memory of the virus so it can respond quicker later on. Anyway, it seems to me that decreasing sugar decreases the risk of catching the flu, which has to do with the adaptive immune system (and thus nothing to do with neutrophils). Therefore there is a big question left unanswered, namely how much does sugar effect our adaptive immune system, not just our innate system (which this study was testing). IIRC, Dr. Mercola often points out that a large part of the bodies immune system resides in the bacteria content of your gut…and that sugars will throw off the balance of beneficial pro-biotics and feed the bacteria that is unhealthy for you. An out of proportion bacteria in your gut is one of the primary reasons your immune system becomes weak and compromised. This is why most yogurt is bad for you…the heavy sugar content mitigates any potential benefit you would have gotten from the acidophilous and other pro-biotics found in the yogurt. I’m not sure I buy that. Lactic acid bacteria eat sugar. That’s how yogurt is produced in the first place. Lactose is only a couple of steps away from glucose, chemically speaking. It could be that the fructose in sugar throws off the bacterial balance in the yogurt. But then there are people who make fermented drinks on a regular basis who will incorporate fruit juice into their recipes for a second fermentation, and yet everything seems to turn out OK. I think it’s more likely that most store-bought yogurt is bad for you because first they cook the milk (that’s what pasteurization is), and then they strip the fat out of it (and you can’t get optimal assimilation of the calcium in milk without the saturated fat that is also in milk, by the way), and then when they do their fermentation it’s in a factory environment fine-tuned for greatest efficiency, so who knows whether they’re doing that right or letting the fermentation last for long enough. And that’s not even getting into the edible foodlike substances they add to the yogurt *after* that. An easy way around the problem, if you just can’t make your own yogurt, is to buy plain yogurt. Read the label, too. The fewer extra weird things they add, the better it will probably be for you. Lately I’ve been getting a brand of Greek yogurt that’s pretty good. and wound up in the ER. vomiting to the point of dehydration and an inflamed stomach. I had no idea food tasted so sweet until I stopped having sugar (about a month ago). I am totally blown away by this one thing, let alone the incidental (and significant) weight loss, the feeling of energy and happiness and the sudden libido increase. All that other stuff is great on its own but finally being able to eat a carrot and think “hmm this is sweet!” is just crazy-good. 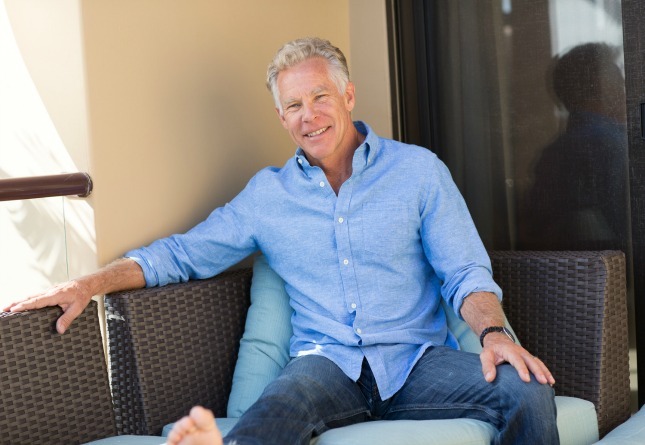 A big thanks to Mark Sisson and his book and this site. This is a permanent and delightful change for me and my family. I teach 140 students a day and use to come down with the flu and a few colds per school year. Since I have gone strictly PB or Paleo for the last two years…only have had a 3 day cold last fall! It’s true…eat good foods cut the garbage carbs out of the diet, watch the starch intake and eat good meats, veggies, and some fruits. Then the immune system is built up and protects you from viruses. I have been exposed to Swine Flu, kids sneezing near or on me, etc. Talk about good medicine. Wow! I’ve been primal for the last 6 months and I have gone the flu season with no flues or any illness for that mater and in my house my wife and 2 daughters got even the swine flu, another benefit is that before going primal I was in a suppressive therapy for herpes with Valciclovir because if I didn’t take a pill a day I would get an outbreak in 4 or 5 days and a bad one I havent have an outbreak in 6 months and I’m off the medicine!!! The better I eat, the fewer cold sores I get. We’ve been doing a 31 day Paleo challenge and just now realized we haven’t been sick at all this month, despite a kid perpetually bringing home mad germs from daycare. Interesting. I tend to think of fruit as a treat now and completely avoid all other forms of sugar, although, I do enjoy a square of green & black’s dark chocolate on occasion. I find that I don’t enjoy the taste of ‘sweet’ foods any more, it’s just too sweet for me and makes me feel sick. I find that carrots, tomatoes and sometimes sweet potatoes are much nicer and still taste very sweet. its been a month since i removed all sugars from my diet, except dried fruit (which i guess its got to be removed cause they use sugar to process) and i take a teaspoon of pure honey with plain yogurt..is that wrong too? Cause when i remove them i snack into too much almonds then and i guess that will not helo me lose weight. I had my first coffee in a week – a mocha with no added sugar. It was almost too sweet. And to think I used to add sugar. Secondly my libido has increased crazily and I’ve only been on a PB diet for a week. Not being addicted to sugar is a great feat in itself. So many people don’t even realize they have sugar addictions. I was never a sweets lover and never went out of my way to eat sweets but it still lives in almost every processed food out there…thanks to HFCS. I’m still working on my family to cut out all HFCS….in reality it cuts out almost all processed foods….lol….I’m tricking people. My father is actively looking at the ingredients and asks me all the time, “did you know this had HFCS?” I answer, “yah I knew that…..just eat real food dad” is my response. When i went low carb the one thing i noticed right away was no heartburn. I was on medication for heartburn but I no longer need it when i cut out sugar and other high carb items from my diet. Funny you mention the heartburns; I had the same problem before going Primal. As for sugar, there is WAY too much of the stuff in our dietary environment right now. HFCS ought to be banned, period! It’s a nightmare when it comes to educate our own kids about proper eating…I mean, the stuff is in EVERYTHING! Personally, I stick to fruits and feel really good since then. If sugar is that bad for us, how come we have specific and dedicated taste buds for its detection right on our tongue? Evolutionary mistake? Or are we heaping too much scorn on the molecule? When it comes to nutrition, it pays to remember that complexity is the name of the game. The “certainties” we hold dear about nutrition can rapidly acquire the status of self-evident dogma. Try the liquid stevia, and use only enough to counteract the bitterness of the coffee, not enough to sweeten. I used to need about 12 drops of the stevia, and in my attempt to kick the sweet habit, have gotten it down to 2 or 3 drops these days. When I want it sweet, I use 4 or 5. I have been using stevia for years, but finally wanted to break the sweet habit. I still cannot stomach coffee black, but 2 or 3 drops of liquid stevia works to make the coffee taste good, but not sweet. Just my 2 cents. Sue, that’s just how much I use as well. 3 drops in my morning tea just to take the bitterness off. It really works and hopefully isn’t inciting an insulin response. It certainly doesn’t taste sweet. Liquid Stevia? I’ll look for it this weekend and give it a shot. Thanks. I have not been sick in 6 years! I am a cancer survivor as well. So if anything my immune system should be completely F’ed from the chemotherapy. I think a lot has to do the the increase in real food in general as well as vegetables. I had been doing some sugar for the past few years honey mostly, some agave, maybe a cookie or something with evaporated cane juice. I am down to pretty much nothing now. Just occasional fruit. I love no being sick! In my vegan years, I was getting 15 colds a year. Even at my “best” I would still end up with 6 colds a year. Since going Primal, this has been the first year I haven’t got sick. It’s almost like a miracle. I noticed that the nutrition facts label on raw honey says it has 0 grams of sugar. “Regular” strained honey says something around 16 grams per serving. I was wondering how this is possible – I assume it has to do with what they are counting as “sugar”? Is raw honey any better than “regular” honey in terms of sugar consumption? Also, I’ve read about raw honey as a natural remedy for seasonal allergies, because it contains bee pollen, so if taken over time, your body gradually adapts to the exposure and you no longer get a reaction from pollen in the environment. But I’ve only read this on websites devoted to selling raw honey… anyone have any scientific or unbiased source of info on this? wonder what peoples reactions would be if kids started snorting lines of it? This is a no-brainer to me…I have direct personal experience of this. I had colds constantly as a child, and they were obviously directly related to my blood-sugar level. I could drink a Coke or eat a candy-bar, and I might get sick. If I did both in the same day, I ALWAYS got sick. The only exception to that is when I would subsequently drink a gallon of water in order to bring my blood-sugar down. I just go for the “no sugar” and “no diet varient” plan. This is also common sense. To much of anything can be bad and sugar as one of those things. Agave “nectar” is a very confusing scam, it is no better than high fructose corn syrup. Diabetics have found this out the hard way. Table sugars of all kind, even ‘organic’ are detrimental to our immune system,especially children. If that is not a deterrent,perhaps vanity may help. Sugar greatly increases cross-linking (wrinkles). The only wild animal that has been found to have cavities and worse is the ‘Honey’ Bear. maybe that’s why they are so mean. Xylitol does not affect the pancreas-and is not considered a sugar. Buy only the xylitol made from the birch bark, not corn. Look it up. Actually, Agave nectar is much worse than HFCS – it’s almost completely composed of fructose – hence it’s “sterling” glycemic score. RUN AWAAAAY!!! Hmmmm, is it any coincidence that “flu/sick” season coincides with the sugar and stress and lack of sleep that is the experience of most people during the winter holidays?? And that for most of us in the US also involves a significant decrease in exposure to sunlight/Vitamin D? I never really get sick anyway, aside from a few deadly viruses which I beat in record breaking time. Another effect of sugar is that it competes with vitamin C – due to the similar chemical structure- to get into cells. Imaging what happens with your immune system when the white blood cells – that need large amounts of C to be effective – don’t get the required C due to the fact that sugar competes for the same access port. Could be one of the reasons why diabetics – with chronically high bloodglucose levels – experience scurbia-like symptoms. One more argument against sugar. Sugar lowers the amount of magnesium in your body. And most people don’t get enough magnesium anyway. Now the nasty bit: a shortage of magnesium leads to a shortening of the telomeres, meaning the number of times your body cells can renew themselves becomes less. Or just plain : you speed up your aging. And sugar lowers testosteron in boys. Apart from libido, testosteron gives strong bones and strong muscles. Has anyone heard of Coconut Sugar? I have noticed that everytime a flu bug is around I will not catch it unless I compromise my diet. I eat a modified paleo diet consisting of raw veggies, minimal meat, and only sweet potatoes, quinoa, and organic brown rice. If I eat a cheat meal, and someone around me is sick I almost instantly (within 12-24 hours) get some mild flu like symptoms. The more antioxidants I take and the better my diet is the less I get sick. Great Post Mark! Can anyone help me please? I am a chronic asthmatic with COPD. If I get caught in a drizzle I get very sick. Immune system is compromised from meds. I went to a nutritionist who said I should cut all sugar and fruits out of my diet. I recently got diagnosed with high blood pressure. So I started to add blue berries , dried cranberries etc to diet to combat the high blood pressure. Am I making a grave mistake? Yes. You are eating things that raise your blood glucose, and hence your insulin response, which can pretty directly initiate hypertension. As a start, read “Protein Power” and “The Protein Power LifePlan” for some good discussion about the common cause of the “Diseases of Civilization”. Listen to the nutritionist – dried fruits are just FRUITS without the H2O. At this point you’ve got bigger problems than missing added antioxidants. For a couple of years now I have been keeping an eye on the ‘sugar, immune system’ issue. I know I’m only one person and not scientifically significant, but it seems clear to me that when I’m fighting off a background illness (e.g. I feel mildly affected but the rest of the family are unable to get out of bed), a dose of sugar will reduce me to their state within a few hours. It happened only last night. We have all had colds for the last two weeks. My daughter and husband have had three days off school/work and are slowly recovering. My son is on antibiotics. I am fine, but can feel the cold in the background. Yesterday, I was polite and ate apple crumble that my husband had cooked – big mistake. I spent all night blowing my nose, tossing and turning. I feel that it is the crumble that caused my relapse. It happens every time I have sugar when I have a background illness. Sugar and vitamin C enter white blood cells through the same receptor, the GLUT4 receptor. White blood cells have 20-30 times the number of insulin receptors compared to other cells. So eating sugar will directly inhibit vitamin c entry in to white blood cells. And God help you if you have insulin resistance. There are a variety of chemical components which may form the crystals like calcium oxalates, calcium phosphate, the crystals, struvite and cystine. recommended is to drink lots and lots of water. Any follow-up on the immune-dampening effect? I get sick (virus/cold) every time I eat a piece of cake … or even 1/2 a muffin! Is there anything I can do to support my immune system a these times? Yes, there is something you can do – I’m hoping you have discovered it. Don’t eat cake, or, if you must eat cake make it yoursel with butter, eggs, flour and something to sweeten it. You might find you can cope with that better.